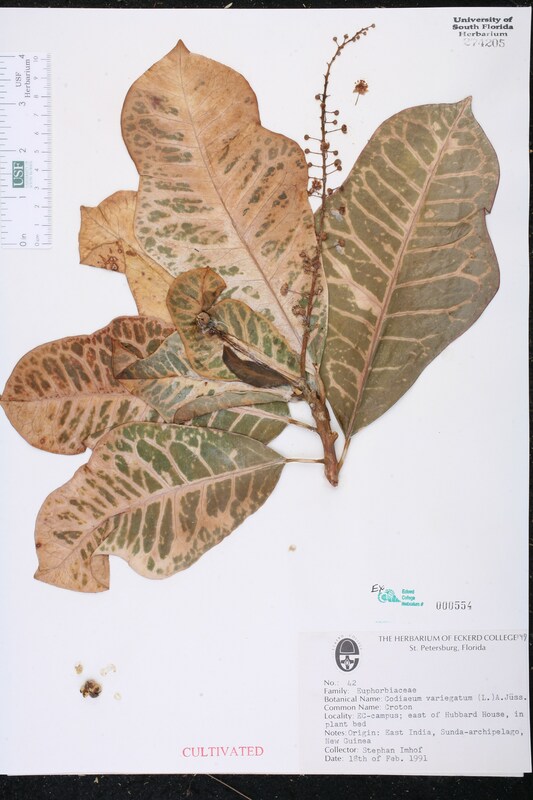 Currently Accepted Name: Codiaeum variegatum (L.) A. Juss. Locality: USA. Florida. Miami-Dade Co.: Hattie Bauer Hammock, E of SW 157th Avenue, at ca. 268th Street. Description: This species was planted extensively at this site (the former Orchid Jungle attraction), but other than this lone seedling there is little evidence of true establishment here. Habitat: Middle of seldom-used nature trail in rockland hammock. Locality: USA. Florida. Pinellas Co.: Eckerd College campus; E of Hubbard House. 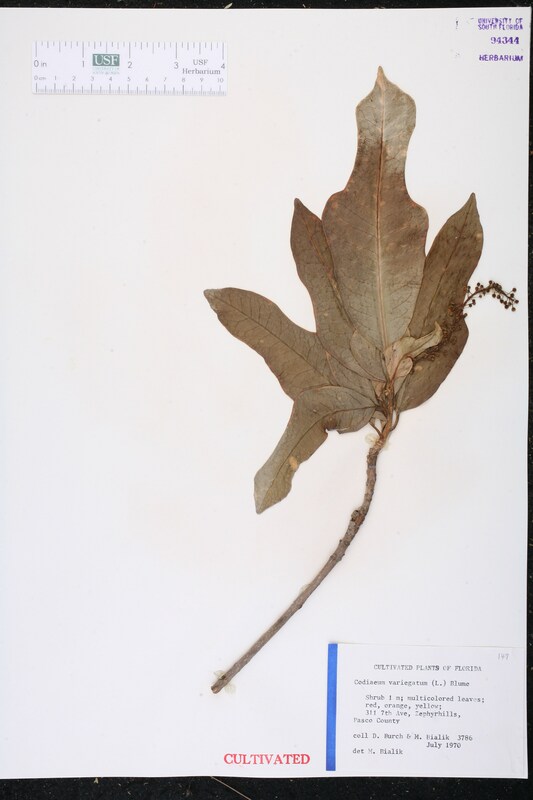 Notes: CULTIVATED; origin: E India, Sunda-archipelago, New Guinea. Locality: USA. Florida. Orange Co.: Orlando Junior College, Orlando. 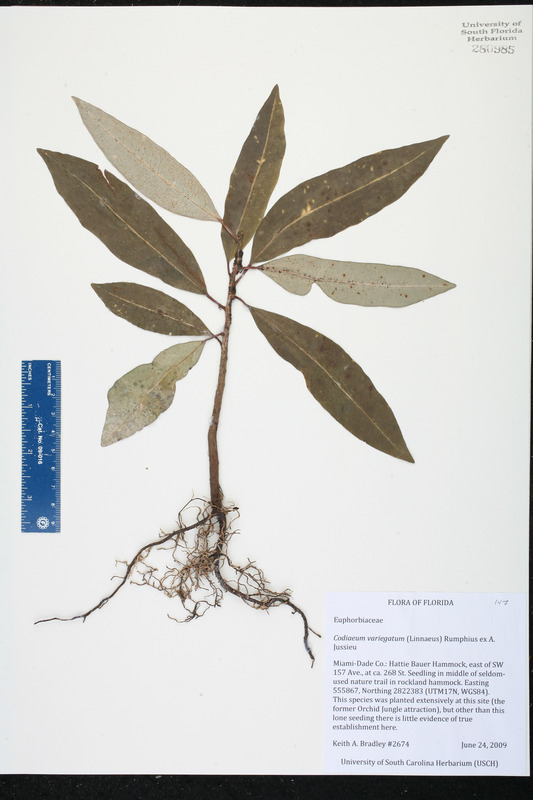 Description: Shrub 1 m; leaves yellow spots on green. Locality: USA. Florida. Pinellas Co.: 815 15th Avenue, N St. Petersburg. 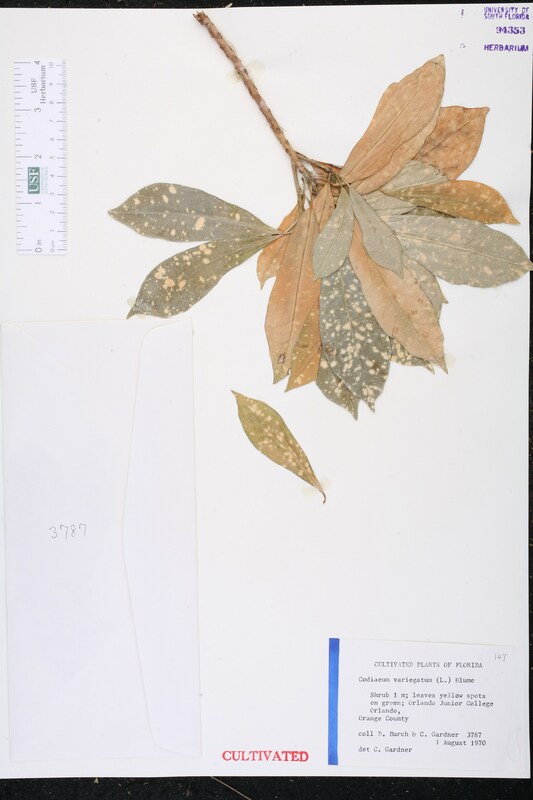 Description: Shrub; multicolored leaves; flower in spike. Locality: USA. Florida. Pasco Co.: 311 7th Ave, Zephyrhills. 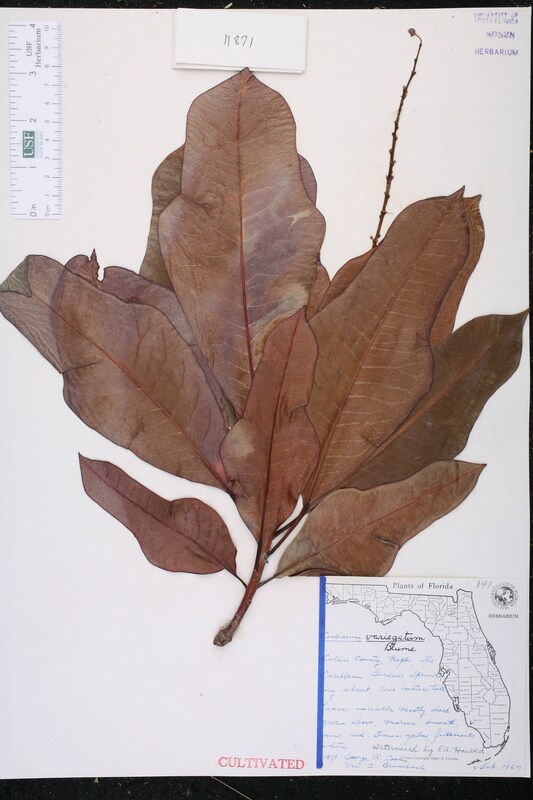 Description: Shrub 1 m; multicolored leaves; red, orange, yellow. Locality: USA. Florida. Collier Co.: Naples, The Caribbean Gardens. 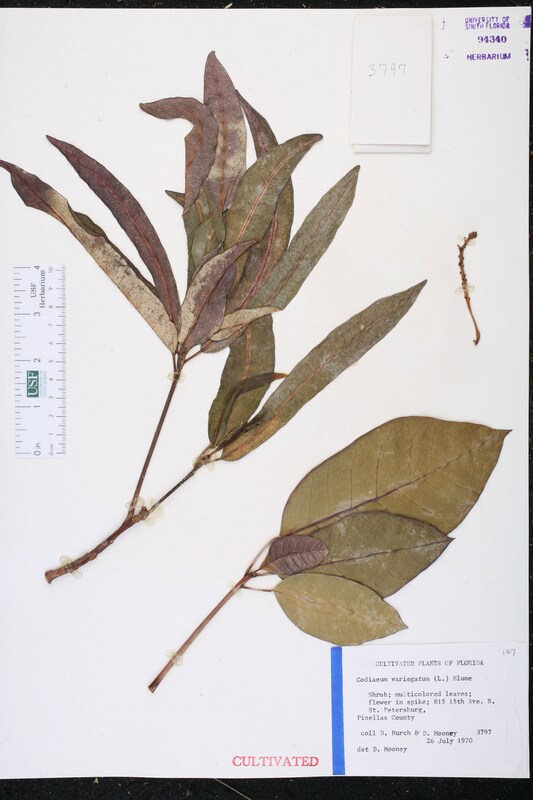 Description: Sprawling shrub, two m tall; leaves variable, mostly dark green above, maroon beneath; veins red; stamens yellow, filaments white.